Richard Bean&apos;s hilarious comedy received 5-star reviews from every London newspaper and received 7 Tony nominations, with James Corden taking home the Tony for Best Actor for his performance in this uproarious comedy. It&apos;s 1963 in Brighton, England, and Francis Henshall is looking to make his mark. Fired from a skiffle band and in search of work, he finds himself employed by small-time gangster Roscoe Crabbe, in town to collect a fee from his fiancee&apos;s gangster father. But Roscoe is really Rachel, in love with Stanley Stubbers who, in turn, becomes our hero&apos;s other "guvnor." Fighting a mounting sense of confusion, Francis goes out of his way to serve both bosses, but how long can he keep them apart? Taste of Carlisle, sponsored by Entenmann&apos;s, is the Chamber&apos;s yearly food event presented in partnership with the Downtown Carlisle Association. We bring together the best of the best from local restaurants, pubs, caterers, cafes, bakeries, and chocolatiers to offer taste samplings to our attendees. Choose Your Experience: Attendees have the opportunity to choose between two experiences at Taste of Carlisle, a VIP celebration and general admission. VIP Celebration Tickets cost $25 and offer a 12:30 PM to 1:30 PM admittance time. A VIP ticket will allow guests to attend a private anniversary celebration. The celebration include a collector’s plate, a glass of champagne, cake cutting and the opportunity to be the first to taste the food being showcased. Only VIP ticket holders will be allowed to participate during the first hour of Taste. A limited number of tickets will also be sold to ensure short lines and more interaction with participating restaurants and retailers. General Admission Tickets are available for $15 and provide admittance from 1:30 PM to 3:30 PM. Visit Williams Grove Speedway for some of the best 410 Sprint Car racing in the country. Since 1939, race enthusiasts have been enjoying dirt track racing from March to October on the 1/2 mile banked clay oval track. 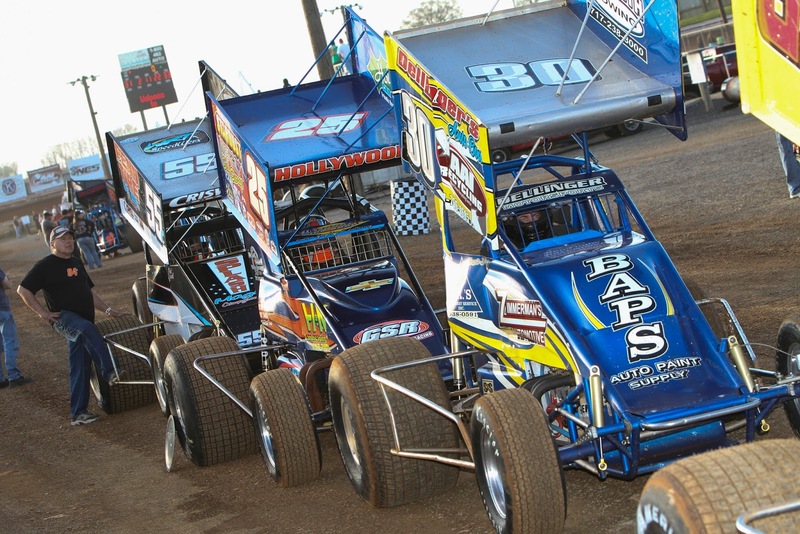 Races will feature 410 Sprints and Super Sportsman. Gates open at 6:00pm. Central PA Blood Bank will be running a Blood Drive at the event. A group of dozens of players start their performance by hitting a Japanese taiko drum made from a large 400 year-old-tree. You have now entered into the world of Yamato: powerful sounds, colorful and breathtaking scenes, amazing costumes, and beautiful lighting and theatrical effects. 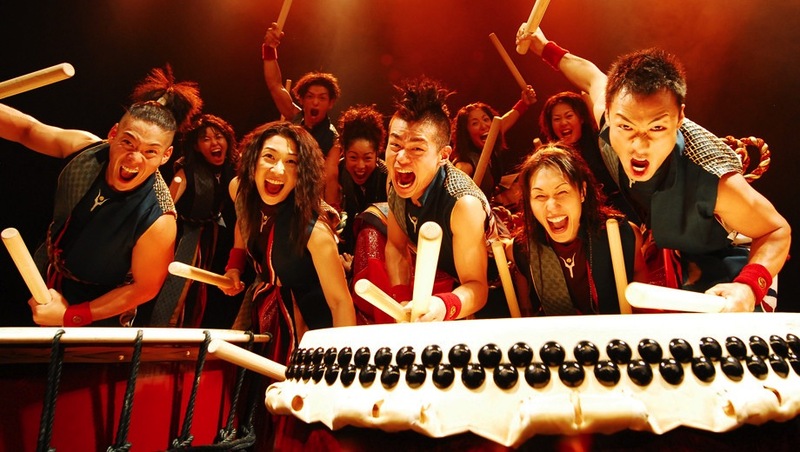 The performers move their whole bodies to strike the drum with an intensity of everything in their souls, creating a powerful surge of energy. Formed in 1993, Yamato debuted at a Shinto shrine festival when they performed in their Japanese hometown with their original song "Hyu-ga (The Sunrise)." Yamato hails from beautiful Nara Prefecture in Japan, and exhibits great originality and innovation through a traditional Japanese musical instrument known as the wadaiko (Japanese drum). The theme for their new tour "Bakumon" is "the story of a strong, passionate, continuous beat." The story is based on the sound of the heartbeat in every one of us. This sound of the heartbeat is continuous from our birth, growth, and day-to-day existence. Come out and join us for our Spring Create-Your-Own Event. You will get a chance to experience a taste of what we do everyday with our master crafters on hand to assist you. You&apos;ll have lots of fun crafting and making memories. 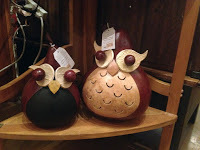 This is a great family-friendly activity for all ages and all artistic abilities. Azaguno is a colorful and vibrant multi-ethnic ensemble and international touring group, which focuses on the performance of traditional African, African-American, Caribbean and Latin American music and dance. Through the drum, the voice, and other visual art forms and paraphernalia, Azaguno brings to the stage a unique African theatrical experience. Mirror, mirror on the wall, who is the bravest Chihauhua of them all? Skippyjon Jones the Siamese cat who thinks he&apos;s a Mexican Chihauhua of course! While his sisters listen to Snow White and the Seven Dwarfs, Skipy heads off for the REAL adventure awaiting him in his closet. There, as his alter ego Skippito Fiskito, and with the help of his friends the Seven Chimichangos, Skippyjon must rescue the beautiful princess Nieve Que (Snow What), battle the evil dragon and defeat the Bruja. A brand new musical based on the book by Judy Schachner, Skippyjon Jones Snow What is a twist on the classic fairytale Snow White and the Seven Dwarfs. This program is approximately one hour in length and is appropriate for audiences in grades Pre-K-3 Photos and study guide are available at Luhrscenter.com. The Susquehanna University Choir will present its 2016 Spring Tour Concert, "At Home At Peace", on Sunday, March 13 at 4 P.M. at First Lutheran Church, 21 South Bedford St., Carlisle. The choir, conducted by Dr. Julia Brasher Thorn, will perform a variety of musical styles from works by the beloved composers, Bach and Brahms, to folk songs, spirituals, hymn arrangements, and the music of today&apos;s artists. Also featured in the concert will be the SU Chamber Singers, a versatile ensemble of seventeen singers from the University Choir who will be performing the music of living composers in every imaginable style. The concert will mark Susquehanna University Choir&apos;s third appearance at First Lutheran Church. Sponsored by Fine Arts at First, admission is free and open to the public. A freewill offering will be received, and a reception will follow the performance where the choir&apos;s recordings may be purchased. The Allenberry reservation books have been misplaced and we are left in the lurch! See what happens when an arrogant motivational fitness guru, a hippie dippy animal rights activist group, and a nerdy science fiction convention are triple booked at Allenberry for the same weekend. Will sharing space in this resort cause them resort to murder? No matter what happens during this Murder Mystery Mix-up, Allenberry will be sure to accommodate you and your guests for a fun-filled weekend with fantastic food, live music with dancing and top quality thrilling entertainment. Check-in on Friday afternoon and get ready for an adventure that is an unconventionally fun 48 hours until its unbelievable conclusion at Sunday brunch. Secure your reservation in our books now... before they disappear! Death Trap is known as one of the biggest hits on Broadway running for four years with almost 1800 performances. In the play, Ira Levin has taken the basic components of thrillers and horror stories; murder, deceit, innocent dialogue with hidden sinister meanings, plot reversals, unexpected turns of events and more, and twisted and rearranged with pieces again and again. 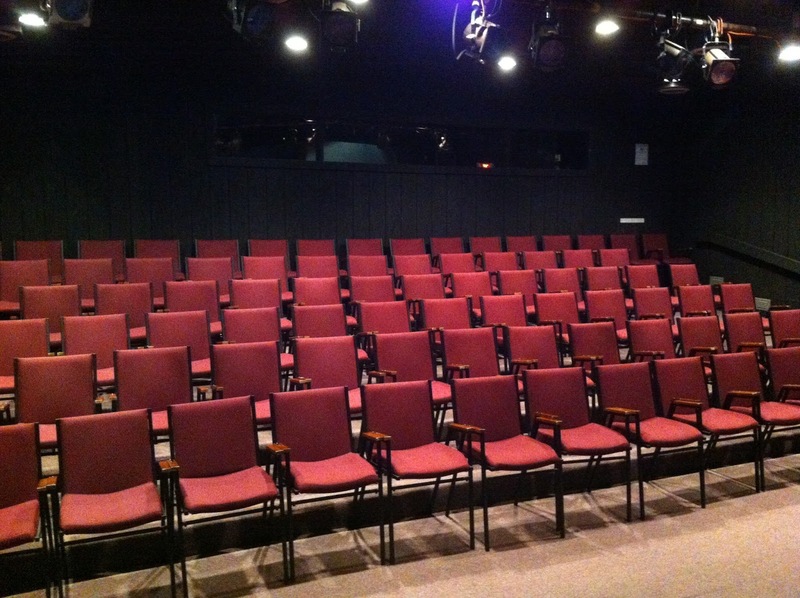 When previously successful playwright, Sidney Bruhl, has a series of box office flops, he agrees to meet with student, Clifford Anderson, to read his play. This meeting begins a series of complications and events sure to puzzle and stun the audience.